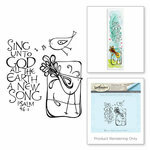 Practice contentment with the Good Shepherd Unmounted Rubber Stamp Set from the Art Impressions Bible Journaling Collection. 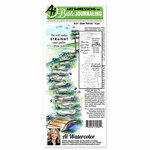 There are 8 cling rubber stamps included that are designed by Bonnie Krebs. 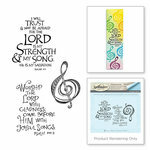 The pieces can be used with an acrylic block and inks of your choice (sold separately) and are in the shapes of sheep, a staff and phrases like "the Lord is my Shepherd I shall not want." 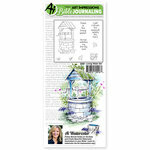 All of AI's watercolor stamps are perfect for bible journaling.